WASHINGTON – The majority of ships operating in the U.S. Navy’s Seventh Fleet, where two destroyers have been involved in fatal collisions since June, weren’t certified to conduct basic operations at sea related to war-fighting, according to U.S. Navy records. As of late June, eight of the 11 cruisers and destroyers in the Seventh Fleet, and their crew members, weren’t certified by the U.S. Navy to conduct “mobility seamanship,” or basic steering of the ship, according to U.S. Navy records provided to two House Armed Services subcommittees. The Navy also said that seven of those ships had expired training certification in the areas of cruise missile defense and surface warfare, which test a crew’s ability to defend a ship or to conduct attacks. The USS Fitzgerald collided with a Philippine-flagged vessel on June 17, killing seven crew members. The USS John McCain collided with a Liberian-flagged vessel Aug. 21, killing 10 sailors. Neither the Fitzgerald nor the McCain were certified for the majority of the mission operation requirements that the Navy periodically evaluates. The Seventh Fleet’s destroyers and cruisers generally met certification in other areas such as maintenance, communications, navigation, explosive safely and search and rescue. It is unclear what role the lack of proper certification played in the collisions, and Pentagon investigations are under way both into the collisions and into larger questions of naval operations. 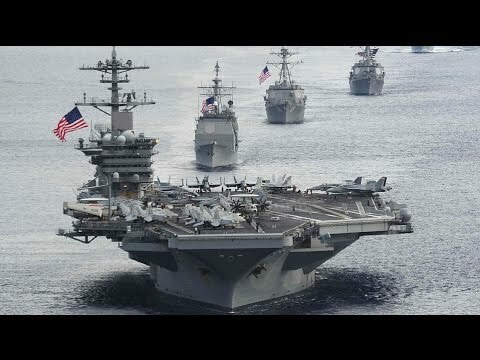 But the certification reports suggest that the U.S. Navy may have knowingly sent ships to sea that weren’t fully certified for the missions they were conducting, said Bryan Clark, a senior fellow at the Washington-based Center for Strategic and Budgetary Assessments. “This appears to be endemic of a systemic problem,” Mr. Clark said. The Seventh Fleet destroyers and cruisers “may not have had sufficient practice to do the difficult transits they were doing,” given the crowded waters they operate in. Adm. Bill Moran, the vice chief of naval operations, and Rear Adm. Ronald Boxall, the Navy’s director of surface warfare, are scheduled to appear before two House Armed Services subcommittees Thursday on the collision of the USS Fitzgerald and USS John McCain. Lawmakers received the records earlier this week, ahead of Thursday’s joint hearing. Also testifying will be John Pendleton, who has written extensively about the U.S. Navy for the Government Accountability Office, including in a series of reports that warned about overworked sailors and shortened training schedules. After a ship has undergone maintenance, the U.S. Navy periodically conducts monthslong tests of its sailors on their ships to ensure they can properly maneuver the ship and conduct military operations. The U.S. Navy has acknowledged cutting back on certification procedures in the face of growing demand, according to past GAO reports. The Navy repeatedly has said that increased demand on the Seventh Fleet has resulted in cutbacks on training and certifications. That pressure has only increased in recent months with each North Korean missile or weapons test, as the fleet conducts more exercises and patrols with the same number of ships. Navy Cmdr. Bill Speaks declined to comment on the certification records, but said the review of naval operations begun after the two fatal collisions would encompass training, professional development and operational certifications. “It is the Navy’s responsibility to ensure that all of our sailors receive the skills they need to perform their jobs at sea safely and effectively, and we take that responsibility very seriously,” he said. In the last two years, the cuts in certification testing appear to have only increased, based on reports provided to lawmakers. The GAO found that roughly 7% of cruisers and destroyers had expired certification in 2015. The latest figures show that figure has since jumped to 37%. On Aug. 24, Adm. Moran drafted a memo ordering a comprehensive review of naval operations, including “gaps between required [certifications] standards and actual employment practices.” In that memo, Adm. Moran called the collisions a “disturbing trend of mishaps. It appears to me that these problems that have surfaced with the Navy might just be the tip of the iceberg and extend to all branches of service. All those years of downsizing and downgrading the military have taken their toll and the true magnitude is now becoming apparent and it’s costing lives. What do you expect from a Congress that is only concerned with their reelection. They have been cutting the military budget and spending what’s left on social engineering instead of complying with the constitutional requirements of defending this country. It’s disgusting! I agree. Sometimes I wonder why I chose to serve my country. It truly feels like it was all for nothing.